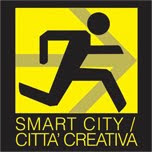 The publications of the group "Master Eco-Polis"
SMART CITY VS CITTÀ CREATIVA? UNA VIA ITALIANA ALL’INNOVAZIONE DELLA CITTÀ. GIANFRANCO FRANZ. 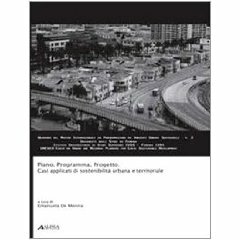 Il libro affronta la duplice questione di come si promuove e realizza una Smart City e di come una città possa aumentare la creatività e il capitale culturale dei cittadini. Le due questioni sono sempre affrontate separatamente, come se si trattasse di due distinte politiche di sviluppo, di sostenibilità e di qualità della vita. Gianfranco Franz, ricostruendo il dibattito, attraverso documenti, testi e pubblicazioni sulla genesi delle definizioni di Smart City e di Città Creativa, propone una visione diversa dei temi affrontati e una via italiana per l`innovazione della città, che deve essere smart e anche creativa. 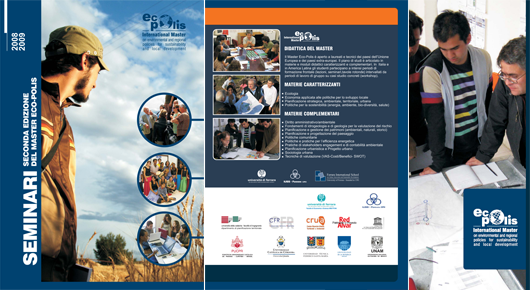 The purpose of these publications is the dissemination of the work completed as a part of the workshops for the Eco-Polis Master advanced training program in environmental and regional policies for sustainability and local development, organized by the University of Ferrara (Italy). During the course of these four-week-long workshops, the group of students and instructors, working on-site with local administrations, institutions and local community members, addressed real-world regional issues. This particular volume illustrates the hands-on experience of the second edition of the Eco-Polis program (2008/2009), focusing on the problems and opportunities for development of the area south of Recife, in Brazil, related to the implementation of the “SUAPE Global” project for the construction of a industrial port complex. The Master workgroup completed further research on both the negative externalities and the opportunities associated with the project, and culminating with a series of possible strategic actions. Invited by the municipal administration of the Island of Rapa Nui (Chile), the University of Ferrara Eco-Polis International Master, with the support of the Multilateral Investment Fund (FOMIN) and the Inter-American Development Bank (IDB), with the participation of the CURSA University Consortium and the HERA group, organized a workshop on sustainability and local development that took place from the15th of August to the 12th of September, 2010. This volume illustrates the applied research which focused on analyzing the response capacity of the island to the pressure from tourism, which due to its continuing growth is threatening sustainable development, and to identify issues and suggestions for developing integrated policies and pilot projects. The Eco-Polis Master’s collection of “Instruments” is intended to provide a series of contributions that are generated directly from the activities of the students, developed during their time in the Master, or from external contributions originating from other sectors of the academic world, or from the realm of professional activities. In this specific case, this volume compiles and organizes the work generated by the students during the 2010/2011 academic year, categorized into four specific themes: ethnic minorities vs innovation and modernity; instruments and strategies for sustainable local socio-economic development; innovation (fields, types and scales of local sustainable development); cultural heritage (connections between memory and valorization). These themes are representative of the areas of work that characterized this specific edition of the Master, whose principle theme was “struggling regions”. Sviluppo locale tra paesaggio e identità. L’esperienza dell’ecomuseo della Valle del Raganello Workshop del Master Eco-Polis: Civita, Italia, 2009. Massimo Zupi. Università della Calabria. A partire dal workshop del Master Eco-Polis, l´opportunità di affrontare i temi dello sviluppo locale e del paesaggio, attraverso il comune denominatore dellidentità. This volume compiles the reflections and contributions developed from the coursework and research experiences of the Master in Planning of Sustainable Urban Environments (MAPAUS), at the University of Ferrara. This training program, which was characterized be an interdisciplinary faculty and the implementation of practical applications on-site in Italy and Latin America, concluded with analyses and proposals that addressed themes related to the design of agriculturally productive areas, preservation and valorization of cultural heritage resources, and the formulation of tools and procedures customized for particular situations. Particular emphasis was given to the notion of working at multiple scales, and practices that track and investigate the various levels, plans, and projects that arise out of integrated thinking. The MAPAUS Master, after five editions, was updated and transformed into the Eco-Polis Master in Environmental and Regional Policies for Sustainability and Local Development. Eco-Polis, currently running, has enriched and amplified the objectives and the international reference network of the previous program, introducing new variables with respect to the themes of local development, and initiating closer collaboration with local administrations. 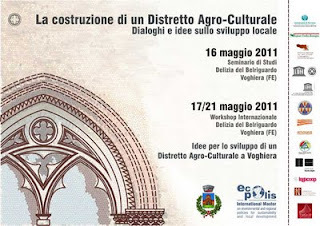 The seminar “The Construction of an Agro-Cultural District, Discussions and Ideas about Local Development”, promoted by the Eco-Polis International Master in collaboration with the Community of Voghiera, took place on May 16th, 2011, in the Delizia del Belriguardo in Voghiera, Ferrara. During the Seminar, the exceptional qualities of the region were discussed, and the resulting socio-environmental dynamics that have been generated as a result were analyzed. As an outcome of this event, the Eco-Polis Master working group developed an international workshop using an integrated and interdisciplinary approach based on meetings with the key local stakeholders, facilitating the compilation of a map of local products and interdependencies. The International Seminar “Desirable Tourism Types” (Os turismos desejáveis), organized in September, 2010, in the City of Maragogi (Brazil), was attended by more than 200 local stakeholders, business owners, institutional representatives, regional and municipal governments, and associations or businesses from various regions of Brazil and other nations in Latin America, Europe and North America (e.g. the World Bank, IDB/IMF, Italian Lega Coop, etc.). The seminar presentations principally addressed the themes of economic development and sustainable development, organized into a series of thematic groups, and divided into nine strategic themes, facilitating the detailed analysis of the issues inherent to the study area. The discussions generated at the nine thematic round tables, made up of representatives for various sectors, lead to the definition of specific guidelines fundamental for development planning of the region. A program of meetings, debates and seminars promoted by: The University of Ferrara and the Eco-Polis International Master, Eco-Polis.cs, the City of Ferrara, the Po Delta Park, ACER Ferrara, the SEFIM Group, and the foundation of the Architects’ Registration Board of Ferrara. The environment as a resource and development as a problem. In the last decade, the environment has been considered not just a victim of human aggression, but also a tool and laboratory for promoting technological innovation, employment, and sustainability. At the same time, development that is increasingly private and of poor quality, has generative and policy implications. Today, the notions of development and sustainability seek to survive together in the midst of cultural conflict, contradictions, and problematic conceptual evolution. 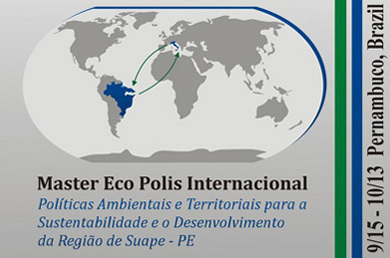 From the 17th-18th of September, 2009, at the SEBRAE offices in Recife, Pernambuco (Brazil), the Eco-Polis Master conducted the international seminar on local development, innovation and sustainability, as the kickoff event for the subsequent workshop. The objective of the seminar was to contextualize the study areas, identifying new opportunities and needs for the region and the businesses that operate in the area. The program of study for the second edition of the Eco-Polis International Master was underpinned by a full calendar of relevant seminars, some including an international scope. Beyond the students of the master program, practically all of these events were open to the doctoral candidates of the university as well as citizen at-large. In this way, the Eco-Polis Master, in collaboration with Eco-Polis.cs, enriched the cultural life and the scientific debate at the University of Ferrara and in the city of Ferrara as a whole. 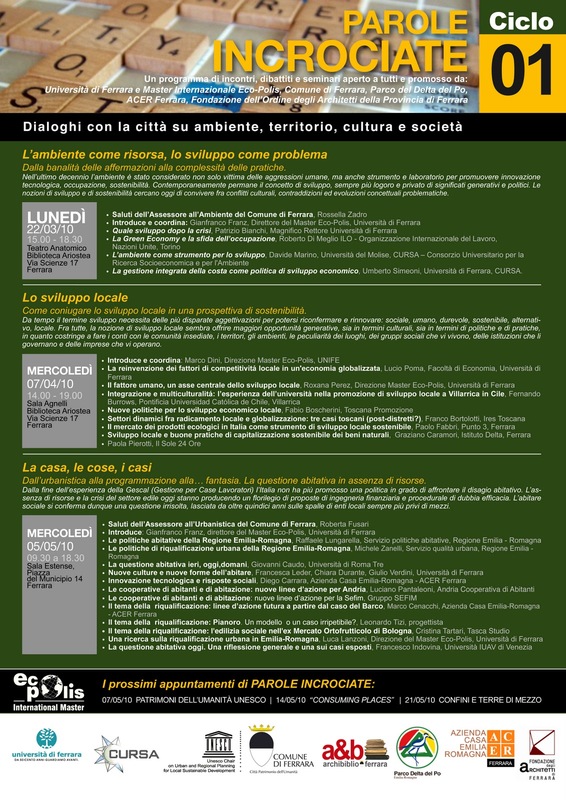 The academic and international character of the seminars was reinforced by collaboration between the Eco-Polis Master and the UNESCO Chair in Urban and Regional Planning for Sustainable Local Development at the University of Ferrara, and the International School of Culture, Innovation and Sustainable Development. All of the activities were made possible by the support and collaboration of IUSS-Ferrara 1391. This International seminar was organized by the Marina Waisman Historic Preservation Institute of the Department of Architecture at the Catholic University of Cordoba (UCC) and the University of Ferrara, with support from the Italian-Latin American Institute. It addressed the theme of conservation and valorization of historical and cultural heritage of the Jesuit Missions in the macro-region of the Three Frontiers between Argentina, Brazil and Paraguay, with the participation of experts from Argentina, Brazil, Bolivia and the University of Ferrara.